MONTANA: Democrat Jon Tester Holds US Senate Seat After Glorious Leader Held Four Rallies Against Him - Joe.My.God. 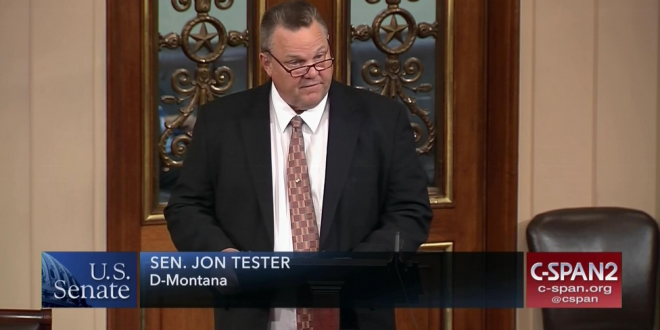 Democratic Sen. Jon Tester has won reelection narrowly in Montana, defeating Republican Matt Rosendale after a fiery campaign marked by Tester’s clashes with President Donald Trump. Tester had 49 percent of the vote to 48 percent for Rosendale, the Montana state auditor, when the Associated Press called the race on Wednesday afternoon with 92 percent of precincts reporting. Tester had long been favored to win reelection, despite seeking a third term in a state Trump carried by more than 20 percentage points in 2016. But the race tightened significantly in the fall, and the president visited Montana four times to champion Rosendale, after Tester scuttled Trump’s nominee to run the Department of Veterans Affairs, White House doctor Ronny Jackson, after raising pointed questions about Jackson’s on-the-job conduct.